Battles of the Anglo-Boer War series provides an accessible guide to some of the major campaigns, battles and battlefields of this historic conflict in KwaZulu-Natal. The books are written for the general reader as well as for historians seeking fresh insights into the events leading up to, during and after the battles. The text is supported by contemporary accounts and photographs, some of which have never previously been published. Maps show in detail the routes and dispositions of the opposing forces for each battle. With Ladysmith weakening daily, Buller made a third attempt to relieve the beleaguered town. Inspired by his optimism, the British soldiers made an unusually feint attack on the weakly held Boer position. 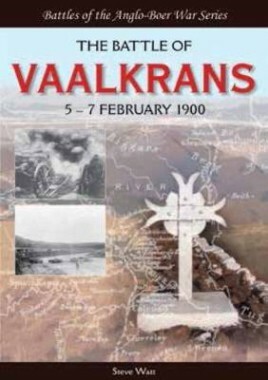 Although achieving partial success, Buller failed to capitalize on it and ultimately abandoned Vaalkrans.